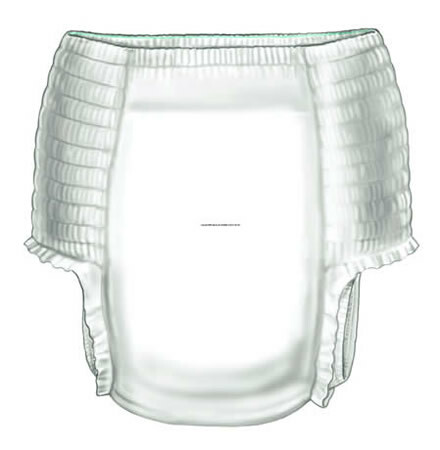 Curity sleep pants are for the older children and teens suffering from bed-wetting. The leg gathers, the leak barriers, and the super - dry core provide excellant overnight protection. The brief is plain white with a cloth like backing that looks and feels like real underwear providing a discreet and comfortable fit.